Downstream from the Copper River Highway Bridge on Highway 16 East, these rocks are frequently under water. 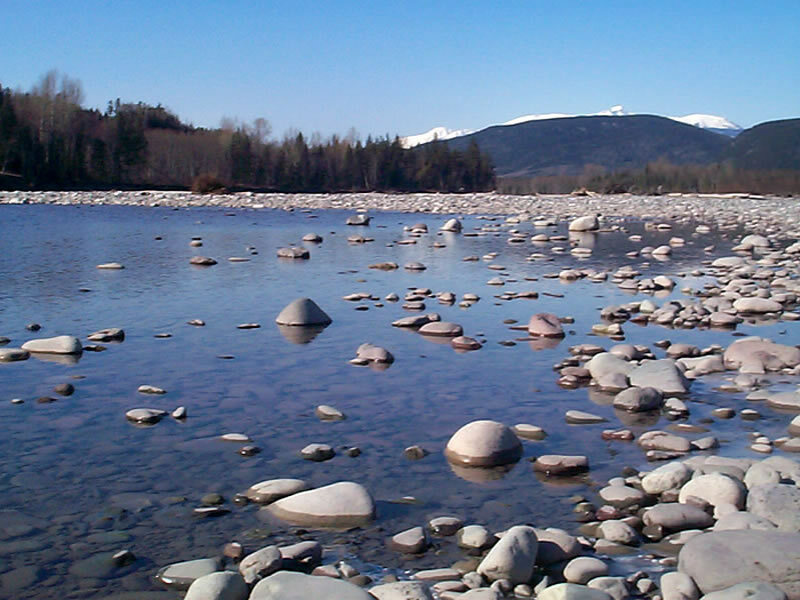 For superb paintings of river rocks in this area, be sure to look at the art of Dave Comfort, available at the Falls Gallery, on Highway 37 (south to Kitimat) in the City of Terrace, B.C. Photo taken on March 24, 2005, at 9:21 AM. Photo © Elaine Fleischmann.